An image placed in evidence in a smuggling case. 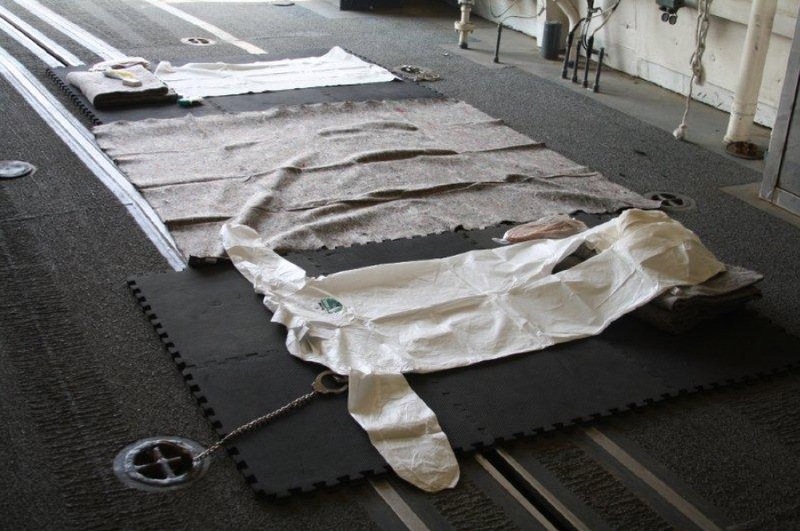 On some Coast Guard ships detainees are held in hangers like this one, their ankles shackled to the ground. In 2017 and 2018, I exposed a little known practice by the U.S. Coast Guard of detaining suspected drug traffickers aboard cutters and holding them incommunicado for weeks or even months. 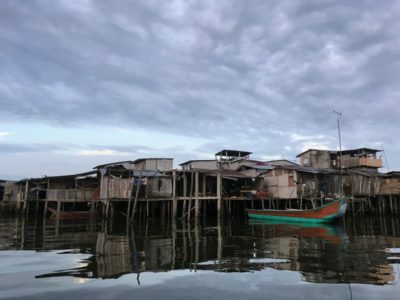 In a pair of stories for The New York Times Magazine and the Canadian Broadcasting Corporation, I found that many of these detainees remained shackled to the decks of ships 24 hours a day, except for occasional trips to use the bathroom. On some ships, they were so exposed that they were routinely drenched by rain or sea spray. 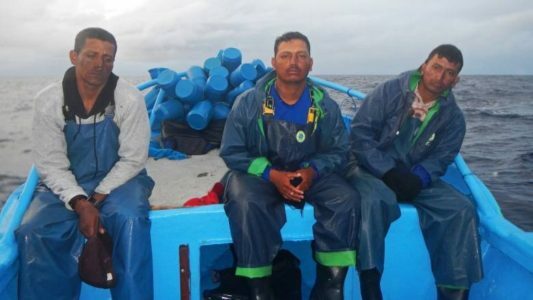 While held at sea, these detainees, mostly Central and South American fishermen, some of whom were later convicted of drug smuggling, were barred from contacting their consulates or attorneys. Even their families were left in the dark about what had happened to them. In the weeks or months that they remained at sea, some of their families concluded that their loved ones had perished. In the course of my reporting, I requested from the Coast Guard the names and locations of people then held aboard Coast Guard cutters. At the time, the Coast Guard had publicly announced recent maritime drug interdictions and indicated that several suspected smugglers had been picked up. I wanted to know who those detainees were and if they were still being held aboard cutters. Yet the Coast Guard would not reveal any information about who it had arrested and was detaining at sea. Citing “safety and security” concerns, the Coast Guard told me, in effect, that the identities and locations of those it holds on the high seas are a secret. This month, Yale Law School’s Media Freedom and Information Access Clinic filed a federal lawsuit on my behalf against the Coast Guard. The suit seeks access to basic information about who the Coast Guard arrests and detains, and argues that I have a constitutional right to know who the government has taken into custody and where these suspects are held. Yet the Coast Guard has bucked this norm, withholding all information about who is confined aboard its ships. In my story for The New York Times Magazine, published in late 2017, I wrote about a group of men detained for 70 days aboard a series of American ships. They were kept on deck, chained by their ankles, provided only hard mats to sleep on. Several reported spending nights drenched and cold and unable to sleep. Perhaps most troubling, they were not told where they were being taken, while they were carried aboard ship for weeks and their requests to speak to their families and governments were denied. It was not until they were delivered to Florida to face criminal charges that they were given access to phone calls or attorneys. And their arraignment marked the first time that I as a journalist could learn of their arrests. In the year since that investigation, hundreds of other men have been detained by the Coast Guard, some for as long as a month. Until they were finally delivered to the United States for prosecution, their detentions remained a secret. This secrecy stands as a barrier of journalists’ ability to pursue basic information about our criminal justice system, and to shed a light on the treatment of those the government detains in its expansive maritime counter-drug operation. U.S. Coast Guard is shackling low-level smugglers on ships for weeks in international waters.